Can be used for both adults & children to help deliver therapy more quickly. When placed on the victim’s bare skin, the pads sense & adapt the defibrillator’s instructions to your actions. 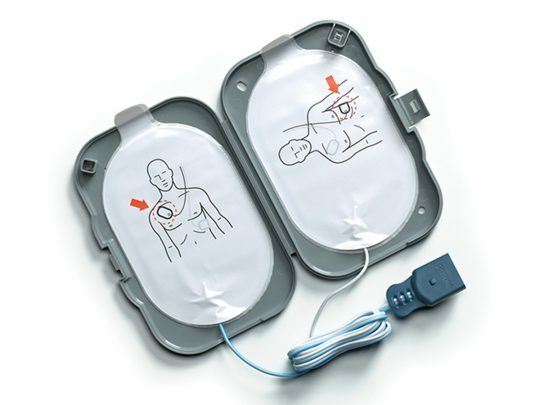 Sensors in the pad immediately measure the resistance of the patient’s body & adjust shock attributes accordingly, so that the right current is delivered to the heart on every shock. Because you don’t have to switch pads based on the person’s age, therapy can be delivered quickly & you can save expense from purchasing separate pads for adults & children.